En estos dos tomos de Dios revela el futuro, usted leerá la fascinante historia de cómo Dios les reveló a Daniel y al apóstol Juan, el surgimiento de los grandes imperios del mundo con siglos de antelación. Usted leerá cómo será el fin del mundo y cómo la verdad ha resistido el ataque constante de los poderes terrenales. La profecía más larga en la Biblia -que terminó en 1844- será explicada, y usted aprenderá cómo el juicio, que ahora mismo sucede en el cielo, le afecta personalmente. Después de leer estos libros de fácil compresión, usted apreciará más que nunca el cuidado de Dios por sus hijos, y entenderá con una nueva percepción el significado de la historia y los acontecimientos mundiales. A best-selling classic in two volumes, God Cares, contains the research on the fascinating prophetic books of Daniel and Revelation. The author unites the most recent scholarship with a compassionate pen as he speaks to all who search for meaning in world history and current events. Recognizing that both Roman Catholic and evangelical Protestant attitudes and emphases have changed over the past century, Dr. Maxwell speaks sympathetically to these various shifts in thought and feeling. He provides careful answers to those particular question of interpretation that have become increasingly important in the last half of the twentieth century. God Cares lets the books of Daniel and Revelation speak directly to the minds and hearts of modern men and women. The reader of these volumes will discover that prophecy not only foretells the future, but that it clearly reveals God and His infinite care for us. How God provides for His people-pleading with them to accept His forgiveness and power to like changed lives-is a theme the author traces unfailingly throughout his exposition of these two dramatic books of the Bible. In God Cares, Vols. 1 and 2, you will read the fascinating story of how God revealed to both Daniel and John the Revelator the rise of great world empires centuries in advance. You will read what the end of the world will be like, and how truth has withstood constant attack by earthly powers. The longest time prophecy in the Bible-which ended in 1844-will be explained, and you will learn how the judgment now going on in heaven personally affects you. After reading this easily understood, yet scholarly, book you will appreciate more than ever God's care for you, and you will understand with new insight the meaning of world history and events. 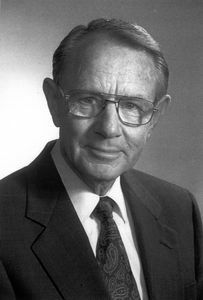 C. Mervyn Maxwell was chairman of the department of church history and professor of church history at the Seventh-day Adventist Theological Seminary, Andrews University for twenty-five years. He holds a Doctor of Philosophy degree in church history from the University of Chicago. He is the author of many books, including Magnificent Disappointment; God Cares; God Cares Volume II; Man, What a God! ; and Look at It This Way.